As you can see it’s Norm from the Bakeoff. Norman found the Bakeoff to be a fantastic experience and would do it all again tomorrow given the chance. He managed to get as far as week five and was really grateful not to be the first one to leave. Best of all perhaps he had Mary Berry taste his cakes without throwing up, that made him feel good. Norman has had a tremendous response from people from all over the country, he says if he had known that there was going to be so much positive interest in his performance he would have tried harder. He admits however to being very fortunate to be in the tent this year as over 17,000 potential bakers had applied. Great British Bakeoff hero Norman Calder has set his sights on inspiring a new generation of rising stars. 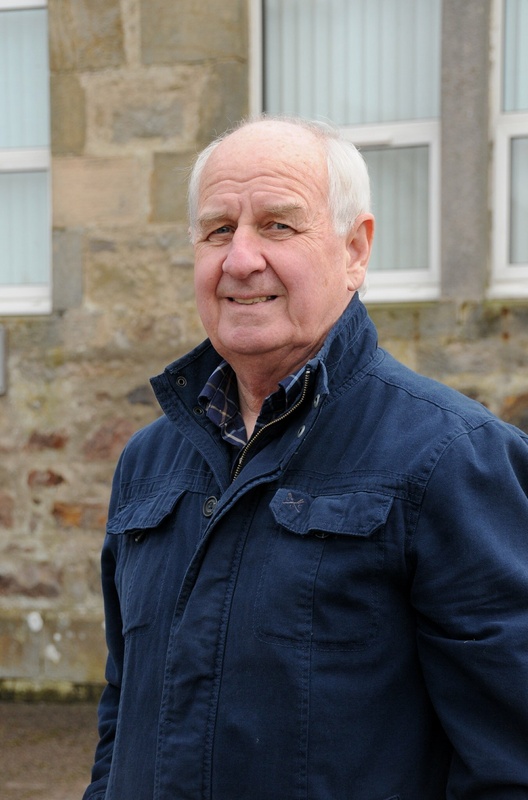 The retired Merchant Navy radio officer from Buckie won the hearts of millions of viewers with his unassuming manner and rustic cooking style. Despite coming from a long line of bakers, Mr Calder joined the Merchant Navy when he was 17. The 67year-old, who has been dubbed “Stormin’ Norman”, also said he nearly backed out of the show after applying. But his excited family left him with no choice but to go through with it. Norman hopes he has encouraged people to do two things – try a bit of baking themselves and bid for a place on the Bake Off show. Norman is available for public appearances, bakery demonstrations, public speaking, branding and promotional opportunities. We so enjoyed your time on the show! We were so sad to see you go. Many blessings to you and your family. You were delightful on the show! So sad to see you go. Have you begun using more pesto in your cooking? It quite exotic? Wven make my own pesto now thanks. I enjoyed the show and how you baked. There are several recipes I’d like to replicate so I’ll be browsing the web for your recipes! Any recipes you are looking for you can just contact me and I will be happy to forward them to you. Thanks for your kind comments and so glad you enjoyed the show – we all had a ball making it and still keep in touch via Whatsapp. You’re my favorite GBBO candidate ever! Your bakes looked so good and home made. Hope you are still enjoying baking!